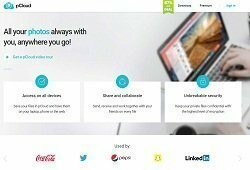 Get reliable cloud storage reviews, advice, how-to-guides, news and research from backup and cloud storage experts. Get to the basic with my “Definitive Guide to Cloud Storage” here. Long story cut shorts. Below are the 6 most important factors that cloud storage experts consider when picking up online backup service or the best cloud storage provider. Most of the features above should be a must if not all of them comes in standards when you are seeking for a decent cloud storage services nowadays. 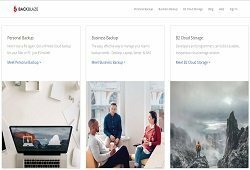 I know it’s hard to fit all of them into one bill but I’ve got some that I would recommend if you are seriously looking for not just any cloud storage services. 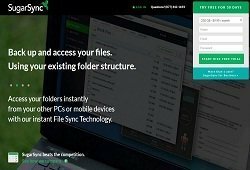 Why I Need The Best Cloud Storage? Things turn nasty when my laptop was having a hard drive failure. Blue screen appear and the next thing I know; I was unable to boot start my laptop anymore. That was the day I did not want to go thru again. Lesson learned (in a hard and pain way). So, I began searching for online backup storage services. If you’re looking for the same service as I did before, do take my advice seriously. I turned to Backblaze to fully backup my computer. While I utilize pCloud for important files and folder for cloud storage purposes. 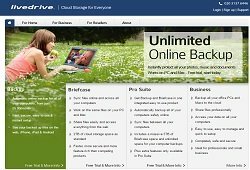 Or you can check out the most secure cloud storage service here, which I highly recommended! I must admit that I did not try out every cloud provider on the market. It just simply impossible! While I did manage to gather 30 free cloud storage services that you can use right now! The reason for me to use Backblaze is simply because their unlimited storage backing up. Due to my situation, my working and home computer is the same unit which fit the unlimited storage for 1 PC! While for pCloud, I need something that is robust, secure and affordable cloud storage which is differ from online backup service. I had personally tested it heavily and highly recommend this cloud storage service. They are so proud of their security that they hire hacker to breach into their cloud service system. Whoever success will be given $100,000 cash prizes. None succeed however. This is by far the most intuitive and easiest interface or platform that I had used before. With just $4/mo, you get all the premium and security features. Exclusive bundle deal (inside the review) from us only! 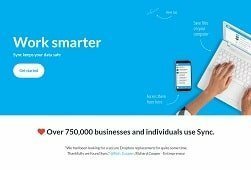 Sync.com believe that privacy is the fundamental right to anyone, and that’s why they are vow to protect your data with 100% private cloud facility. They achieve it by implementing SSAE 16 type 2 certified data centre locations for all your data across multiple duplication. Started at 2011, now they had over 750k registered paying customers all around the globe. Trusted by many small and medium enterprises, Carbonite excel in protecting your businesses while you trying hard to grow them as well. Starting from $59.90/year which is higher than Backblaze pricing but they offer very much different technology and features. You get to choose what you need to backup and have a peace of mind knowing that you are in a safe hand that all your stuff are being backing up in the cloud. Not featuring unlimited cloud storage. They are a package based on the capacity of data or storage that you need. The most popular plan is the $9.99/month for 250GB. Well, not the most worthy cloud services compare to 2 providers of the above but certainly had something to show here. They are capable of multiple syncing across different devices. Not just limiting to one computer, you can use the data cap in different devices as well. More over, they have 30 days free trial with no commitment! The only cloud storage provider that are not in the states. They are from UK, our neighbor and basically offering the very same services as others. If you really want to try them out, go for the Briefcase plan which cap for 2TB storage for 10 pounds per month roughly $12.50 after conversion. Under this plan, you are able to sync across multiple devices as well yet having 10x the capacity of the Sugarsync. 5GB of free storage is good enough to get started but not great enough to continue using them as your primary cloud storage online. 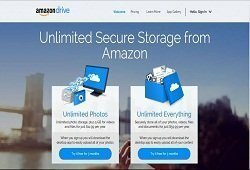 The Amazon Cloud Storage service started in 2011 and it had been serving it customer well. Pricing and basic features had been good but there are some drawbacks as well such as security which is very important to nowadays users like you and me especially. Big brand to pick from but I prefer a dedicated smaller player if you know what I meant. Real unlimited backup, be it 100GB or 2TB of data. You can backup and have full protection of all your data with no compromise or cap limitation. That’s the promise Backblaze are delivering to all their customers. You can have a true data protection for as low as $50/year (for 1 computer) or $5 per month for server backup. Certainly a bargain to grab and not to mention that they are a very reliable cloud storage provider in the states. Why You Need a Reliable Cloud Storage Provider? After many hours and evening spent in digging information and researching, I never imagine that data losses could be due to those reasons except for the hardware failure. Well, I guess like it or not things happen unexpectedly. Hope this can give you a head up on what might be happening. Anyway, after that incident, I find out that the cloud storage and backup is very important. Yup, will need to spend a few more bucks every month but compare to the thing you will lose, I think I can live with just a few ten bucks away every month.